Physical therapy is not just for the older age groups; it is for anyone who wants to make their lives even better. 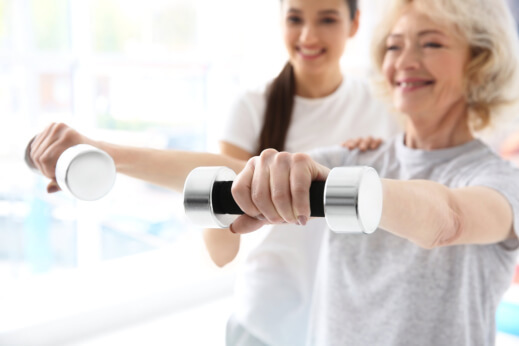 Through physical therapy, our health care services in Anaheim Hills, California make clients, young and old, feel better about themselves. Since aging is inevitable, there is still something you can do about it – age the right way. This can mean being gentle on our bodies and having the right mindset to handle situations to give less stress and impact on our minds and bodies. Leading a good lifestyle can simply start with getting the right hours of sleep each night, drinking enough water to stay hydrated throughout the day, and going for better food choices that become good investments in our bodies for the future days to come. As we age, we may take on more responsibilities that will keep us from fully focusing on ourselves since our families, work, and commitments will need more time from us, hindering us to look after ourselves. But a better understanding of good health will surely guide any individual, even seniors, to better care for themselves. In strict compliance with HIPAA laws and standards, our Health Care in California observes proper protocol on all our care for our clients so they can receive the best possible treatment. To get started with your care plan for your senior loved one from Infinite Care Solutions, Inc., set an appointment on our website or send us an email at info@infinitecaresolutions.com and we will get back to you as soon as possible. You may also call us at 800-603-9722 to know more about our services near you. This entry was posted in Physical Therapy and tagged Elder Care, Exercising, Health Care. Bookmark the permalink. For your queries and questions regarding our services, please feel free to reach us at your most convenient time using the details provided or leave us a message below.